Martin Brennan is an Irish-American American author whose research work and books in the 1980's changed how we look at the sophistication of Ireland’s Stone Age monuments. Martin challenged conventional opinion about the function of Newgrange, Dowth, Loughcrew and other passage tombs of Ireland and presented overwhelming evidence showing that many of these 5,000 year old monuments were used as astronomical observatories. His books, The Boyne Valley Vision and The Stones of Time, both published in the 1980s, have stood the test of time, The Stones of Time is still in print. Martin Brennan was born of Irish parents in Brooklyn, New York. He was a student of Pratt Institute, where he majored in Visual Communication. He worked briefly in graphic design before going to Mexico where his interests in prehistoric rock inscriptions, ritual and traditional art developed. He moved to Japan for some years and there the scholar Kimitaro Kitamura urged him to go to Ireland and study ancient Irish culture. He lived in Ireland for ten years, working in graphic design and pursuing his study of megalithic art. He is also the author of Hidden Maya and is currently working on a new book, studying the alignments in Mexico and the Mayan calendar. The Boyne Valley Vision by Martin Brennan. Published by The Dolmen Press in 1980. In this book Martin Brennan presents an entirely new interpretation of these monuments, one which challenges the conclusions of earlier studies and offers conclusive evidence which radically changes our knowledge of megalithic culture in Ireland. 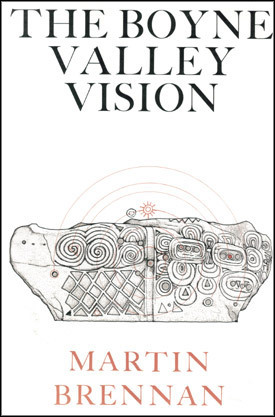 The Boyne Valley Vision is a personal step-by-step account of a quest that has resulted in some of the most astounding and profound archaeological decipherments of our time. 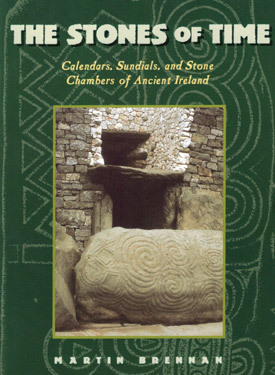 The Stones of Time - Calendars, Sundials and Stone Chambers of Ancient Ireland by Martin Brennan. First published in 1983 as The Stars and the Stones. Older than the pyramids and predating Stonehenge by at least a thousand years, the stone complexes of ancient Ireland have been extensively excavated and studied, yet they have refused to give up their mystery. Archaeologists have speculated that the chambers were tombs. Martin Brennan used a different kerbstone numbering system at Knowth to the George Eogan K1 to K127 system. He used a system based around North, South, East and West, see comparison table. Archive based around the research of Martin Brennan and the Stonelight Team.